Federal investigators have begun investigating a number of smartphone app makers to determine whether their mobile software illegally transmitted or obtained user data, reports the Wall Street Journal. One of the apps included in the probe, which was launched by federal prosecutors in New Jersey, is popular online music streaming service Pandora. 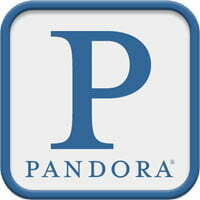 On Monday, Pandora disclosed in a Securities and Exchange Commission filing that it had received a subpoena related to a federal grand-jury investigation “in early 2011” that seeks to uncover whether certain mobile apps properly informed their customers about the personal data, like location, age, and gender, that was collected and shared with a variety of advertisers. “We were served with a subpoena to produce documents in connection with a federal grand jury, which we believe was convened to investigate the information sharing processes of certain popular applications that run on the Apple and Android mobile platforms,” Pandora said in a statement on the matter. Privacy concerns over the information collected and shared through mobile applications is nothing new. Late last year, the Wall Street Journal found that, out of 101 apps tested, 56 broadcast phones’ unique identification number without users’ consent or knowledge. And 45 apps failed to provide privacy policies in any form, either on their website or in the app. While it is not yet clear how many app developers have been hit with the subpoena, or whether Pandora’s claims that the subpoena has been issued “industry-wide” are accurate. Sources tell the Journal, however, that both Apple and Google, both of which distribute apps through online mobile app marketplaces, have also been contacted by investigators. Because criminal charges could be brought forth against companies in this case, the nature of the current investigation is said to be rare. Experts say that companies that could face criminal charges usually do not, instead opting for non-prosecution or deferred prosecution settlements.